Many of the bonds we write do not require collateral. Many are signature bonds and only require the premium payment. Other services we offer include: immigration bail bonds, surety bonds, child custody bonds and all types of civil and surety bail bonds. We accept credit cards, personal checks, cash, money orders, wire transfers, western union etc. 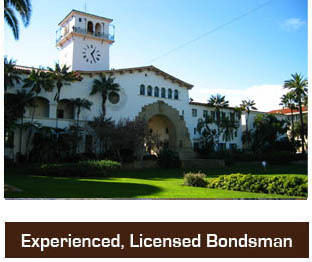 At Premiere Bail Bonds Santa Barbara you will receive professional courteous service. We pride ourselves on our service and demand professionalism from our bail agents. We provide service in the follwing cities in Santa Barbara: Carpenteria, Goleta, Montecito, Lompoc, Santa Maria, Solvang, San Ynez, Los Olivos and Buellton. If you can’t come to us we can send one of our professional Santa Barbara Bail Bondsman to you. If that is not an option we offer a bail by phone and fax option. This means you may be able to complete the necessary paperwork online. This helps to expedite the process and secure the release of your friend or family member quickly. If your area is not listed above please call us as it is likely we have an agent there too. Our parent company has over 200 bail bond agents throughout California to serve you. 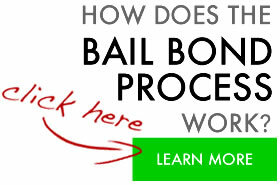 For bail bonds in Santa Barbara or anywhere in California call toll free 1-800-662-0056.